Jack Jack... the wunderkind of yet to be determined powers, makes his Grand Jester Studios debut in this 4 piece vinyl set. 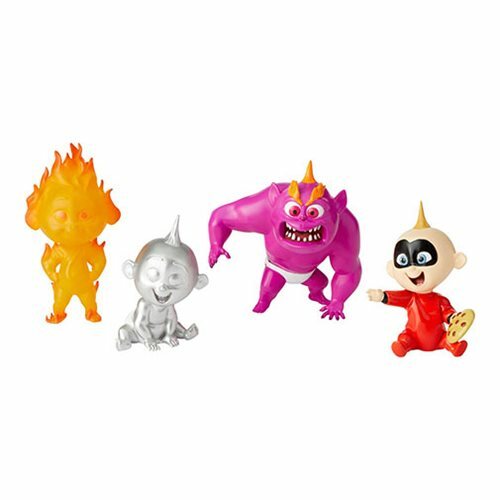 The Incredibles 2 Jack-Jack Grand Jester Studios Vinyl Figure Set showcases some of Jack-Jack's incredible talents. This is a must have for fans of the hit Pixar movie. Measures about 4 1/10-inches tall x 3 9/10-inches long x 3 1/10-inches wide.